The official opening ceremony for WearCheck’s 6th world-class oil analysis laboratory - situated in Kitwe, Zambia - took place last month, and was attended by various key players in the mining, earth moving industry and petro-industries. Guests were treated to music, a sit down lunch and a detailed tour of the laboratory. WearCheck managing director Neil Robinson praised the Kitwe laboratory project team at the launch. ‘The fact that the laboratory was able to process in excess of 1500 samples in the days before the official opening ceremony is testament to the demand for a reliable oil analysis service in the region, and we are grateful for the support from Zambian businesses. 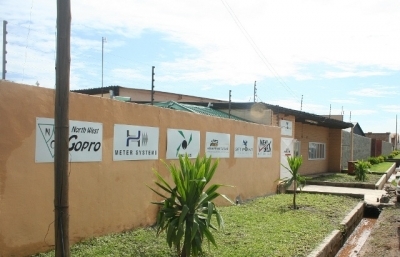 The new state-of-the-art laboratory effectively doubles WearCheck’s Zambian presence as it joins the already successful laboratory at the Lumwana copper mine, both of which boast a 24-hour sample turnaround time. Robinson added that a fuel and transformer oil testing laboratory will be introduced to the Kitwe laboratory later this year. We wish the entire WearCheck Zambia team every success and congratulations on a great start - may you continue to grow from strength to strength!